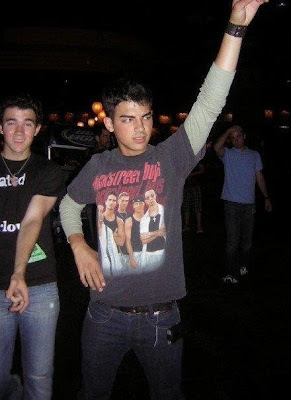 We found this old picture of Joe Jonas rockin' a Backstreet Boys shirt. We are still trying to figure out what Kevin was doing in the background. Ha. We just thought this photo was worth adding to the site.